Annette's pieces: Crochet, Stitching, Felt, Beads, Baking and a new HOBBY!! Crochet, Stitching, Felt, Beads, Baking and a new HOBBY!! Thank you all so much for your lovely comments about my Sinterklaas post. Another is coming next time, as we have 2 more Sinterklaas party's this weekend. First I wanne show you some other things I'm working on adn finished. I really love it, to bad i didn't had enough yarn, so for the arms it's now 3/4. I made the pattern my self. 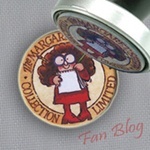 I like it very much.. wanne do it again another time (then with enough yarn). 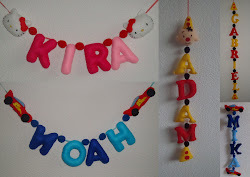 For Sinterklaas Noah wanted to make a Sinterklaas garland from Hama beads. The two above, we made last year. Noah made the Pete and Sinterklaas on the second row out of his mind. Kira was trying to made the pink above all by herself again left below, so great to see where she thought would be the plae for the earrings and the eye, and together with Kira I made the gifts.. So I hope more in a next post.. Finally a stitching update of Jingles. It was not much yet, but it's getting there. 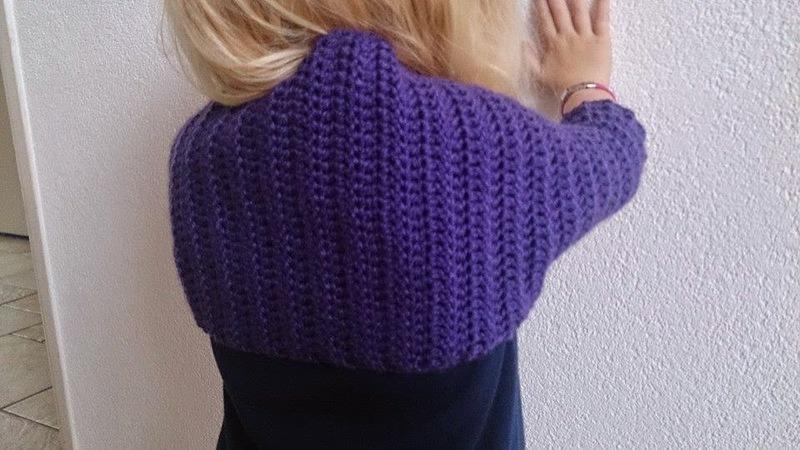 I'm making another shrug, this time for a colleague, I learned her to crochet again, but she wasn't up for this big project and asked me, I wanne finish it next week, as then I have to get back to work again, and also with her, wanne give it.. But that will be no problem I think. In my mind I wanted to make a puppet show for so long for the kids.. It's a pattern from my favorite felt designer HuisVolKleur. As I'm not showing baking pictures, I'm still doing it. 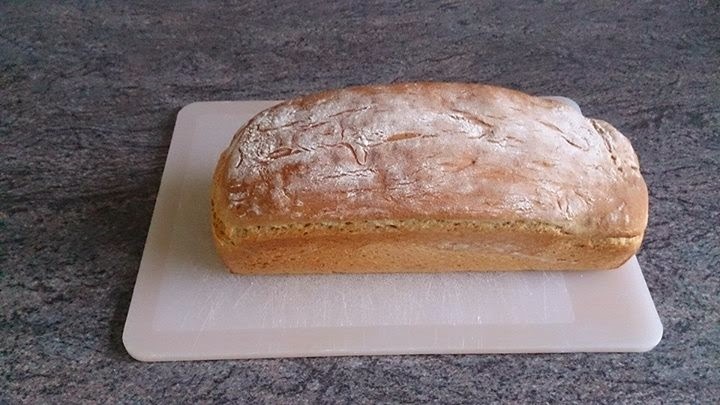 Here I show you a Ciabatta bread I baked this week. Last week you saw the painted faces of the kids, it's very cheap stuff, and as last year I also had many problems to get it off, this time again. I got tired of that, so when I wanted to buy the best stuff, and say that it would be send as a package I thought lets do crazy and buy a starter set with more colors. and this week the sweet mailman brought it to me..
Noah loves football, and the our flag, so I made him a fire football and a flag. Noah wanted me to use gold so that's in there.. The next day, kids wanted again. I found some awesome pictures on Pinterest. Getting better, and love working with different colors. Then this morning I was still eating 20 minutes till we had to bring the kids to school. Mommy wil you paint us again? So put it all away and painted the kids again. Both wanted something from Sinterklaas. It did it fast, they liked it very much. This afternoon I wanted to try a big piece that my neighbor did on her both kids last week, and it looked so awesome. Kira of course wanted purle and pink. Every time I have problems with the eyes, but still such a cute try. Tomorrow I will aske dthe kids both what they want a whole face painted or this Pete painted..
You will see in a next post. Then for the Sinterklaas party on Sunday I'm baking a Sinterklaas pie. And trying new pie filling.. But also more in a next post. Your daughter is looking very cute in the bolero !! :) enjoyed watching those cute painted faces. It's nice that your kids and you are mutually enthusiastic about discovering new arts . 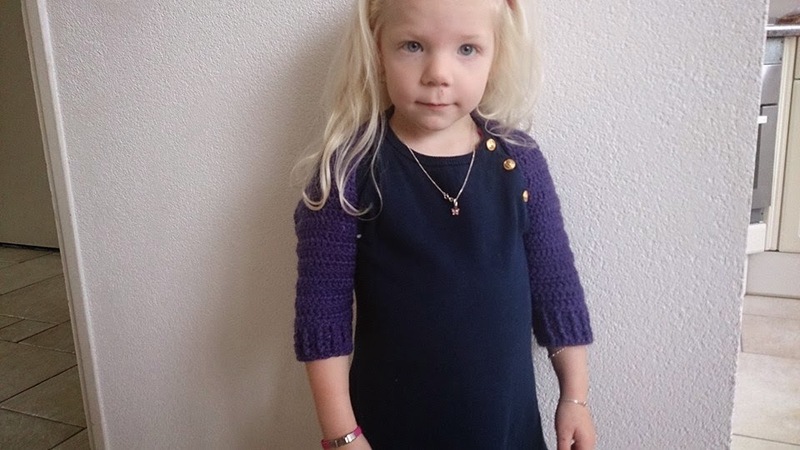 Haha, wat ziet je dochter er leuk uit met dat pietje op haar gezicht. Zullen ze wel fantastisch vinden allebei! Mooi bolerotje. En wat knap dat hij uit zn hoofd zo goed is met strijkkralen. Je brood ziet er erg lekker uit! En leuk die beschilderde gezichten. Mijn zusje wilde altijd een vlinder. Hello busy-bee! Love the 'bolero', it looks great on Kira. 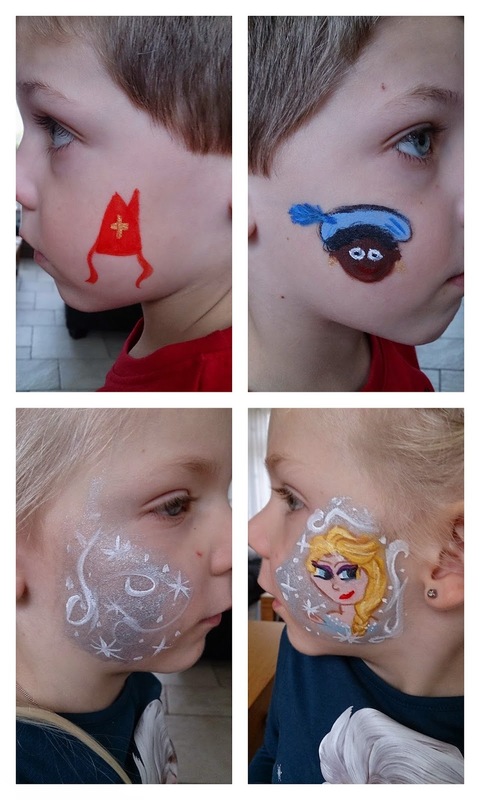 Such cute paintings on the kids faces. Love the bolero. I like the 3/4 quarter sleeves too. 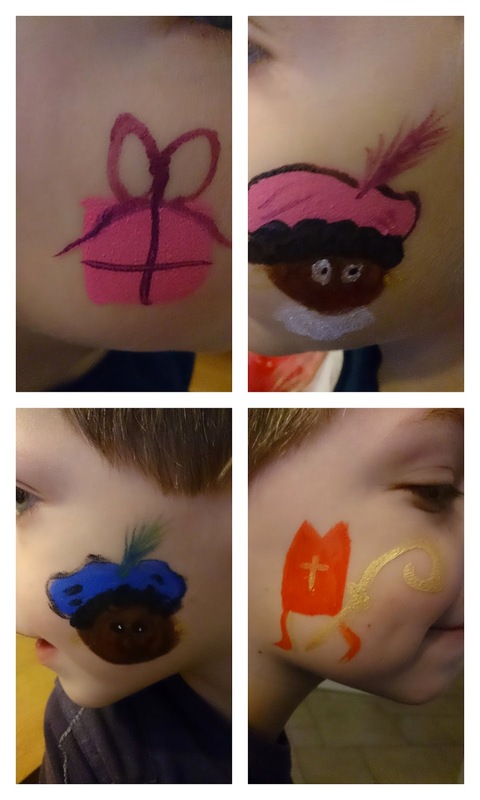 And now you are using your kids faces as your personal canvas! You are all having too much fun! Kira looks so grown up in her bolero! The 3/4 sleeves are a great idea! 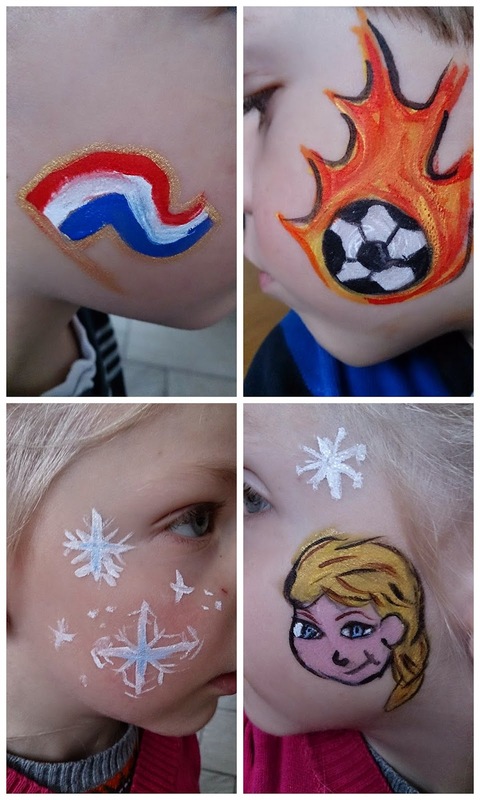 I love the face painting you have been doing... the kids will have the greatest fun getting their faces all painted up!